I'm always hesitant to update a classic. Why fix something if it isn't broken, right? I bought a trench coat in college and it has served my closet well every year. 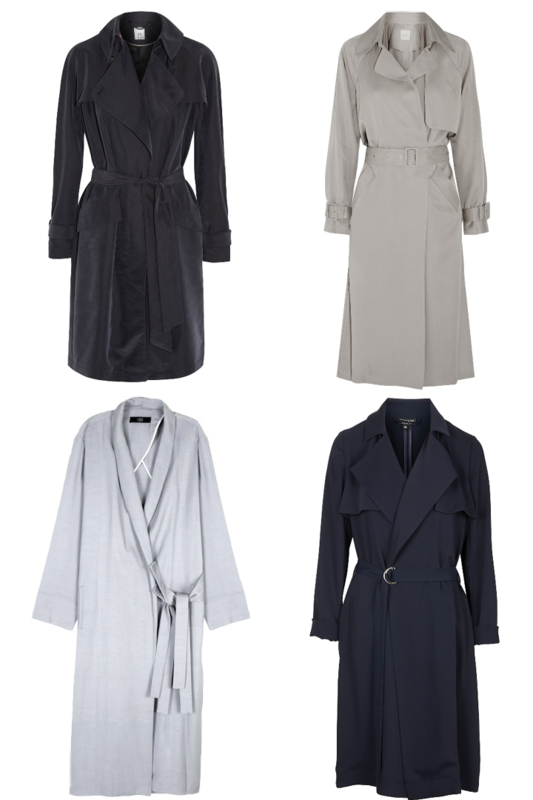 I'm not looking to replace mine, but I am loving the updated duster trench coat this season. With a loose, draped fit this is the great piece for a casual spring outfit. If you're petite, stick to a short version like this Topshop WATERFALL BELTED DUSTER to keep it for overwhelming your frame. I would stick to a neutral color so you can get a little more wear. Will you be adding one to your closet?